If you have seen “127 Hours”; and wondered if there indeed is a place in the planet that raw, red, remote and ravishing; then you are not imagining it. In the age of computer-aided cinematography, breathtaking backdrops can easily be faked; but not when you shoot on location in Utah. It would be a cardinal sin worthy of Mormon wrath if you don’t actively explore its beckoning topography. With adequate preparation and sensible precautions on a Utah motorhome rental vacation; you need not risk ending up like the protagonist in the film (unless you want to provide the sequel). 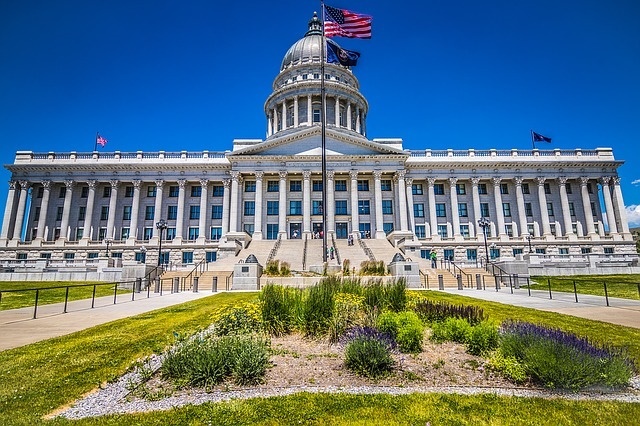 Salt Lake City is the only one with international airport, so unless you drive to Utah from neighboring states, you can fly directly to the capital city and pick up your RV rental in Utah from there, given three national RV rental and sales operators Cruise America, Compass Campers, Moturis, Pure Motorhomes and El Monte RV operating in the area, and a handful of regional operators that might offer better deals and suitable models for your particular travel needs. Book online to obtain the best deal for a Utah motorhome rental, campervan hire or RV rentals in Utah, USA. Picking up your motorhome rental in Utah is easy, as most offices parallel Interstate 15 in Salt Lake City. Once you are all set, take time to enjoy this rather liberal big city with a small town feel. Here brew pubs and tattoo parlors have their rightful places alongside the headquarters of the Church of Latter Day Saints. Salt Lake City grew out of tilled lands irrigated from the Great Salt Lake; Western Hemisphere’s largest salt water lake and home to millions of endemic birds and dozens of recreational opportunities. You would, of course, be amiss if you don’t brave more than a thousand miles of scenic red rock country. But if you are ready and able to give it a go, stock your campervan hire or RV rentals with provisions, bring plenty of spare memory cards and head south. Utah’s national parks are mainly composed of brightly hued red rocks shaped in mind-bending patterns by eons of wind and water erosion. Drive your RV rentals in Utah 230 miles southeast of Salt Lake City to meet the oft-photographed Delicate Arch which is just outside of Moab where parts of “127 Hours” were shot on location. 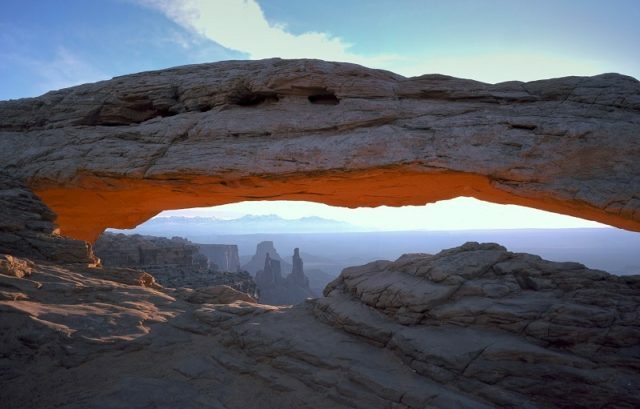 Nearer the town of Moab are miles upon miles of rust-colored canyons, mesas and buttes of Canyonlands National Park; located 29 miles southwest on your Utah motorhome rental. 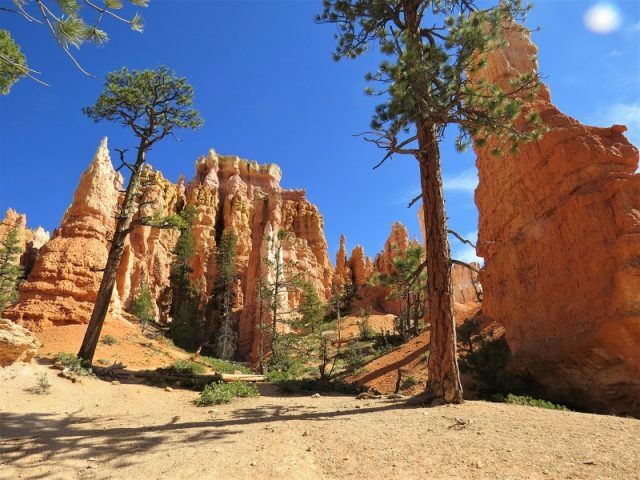 The “hoodoos” of Bryce Canyon National Park less than 300 miles southwest are not as visited, which means you are likely to have the thousands of red-orange totem-pole rocks all to yourself when you drive there on a Salt Lake City, Utah RV rental. On the Utah-Arizona border 150 miles south of Bryce Canyon is a delicate rock art you will easily guess as shaped by water. Aptly called “The Wave”; this striking undulating sandstone rock formation inspires countless artistic pursuits not the least of which is landscape photography. The last 150 miles of your epic road trip is the grand dame of all canyons and a fitting topper on the cake. The Grand Canyon National Park in Arizona is worthy of the distinction as one of the Seven Natural Wonders of the World, to say the least. At best, the 2 billion-year-old Grand Canyon will leave you speechless.